Our board of directors is made of up many talented professionals and business men and women from the Bay Area. Each of them brings their own diverse talents and perspectives to the group. Their hard work and dedication helps make our group a successful one. Richard F. Wong received his B.A. in Music at U.C. Berkeley, and his teaching credential and M.A. in Music at CSU, Hayward. In addition to teaching at the high school level, he has taught elementary band through the Fremont Education Foundation and remains active as a performer, clinician, and as a lifelong learner. Jim was very active throughout his school years playing clarinet, tenor saxophone, flute, piano, and guitar. He played semi-professionally in the area for many years and is currently playing either alto or tenor saxophone for the NSW. He was a co-mentor of a traditional (Dixieland) jazz band, the “Jazzinators”, which is made up of junior high and high school students from the Tri-City area. They continue to perform regularly in the Bay Area. Jim is active in many aspects of the instrumental music program within the Newark Unified School District. He strongly believes that music education, particularly instrumental music, develops extremely important skills (teamwork, concentration, listening, the ability to focus and self-esteem) that carry-over to all aspects of life, and contribute significantly to the establishment of exceptional learning skills in general. He is dedicated to providing free symphonic and ensemble music for the members of our communities. He has been the president of the board since the inception of the NSW. Jim holds a Ph.D. from the University of California, Berkeley where he is an adjunct faculty member. He has been an aquatic ecologist for the National Research Program in the Water Discipline of the U.S. Geological Survey since 1981. Sheryl is a versatile musician, and a vocalist, pianist and oboe player. She is also a choral conductor, and has been a piano teacher for 33 years. Music has been a passion all of her life. In earlier years she toured Europe with the prestigious Calgary Youth Symphony Orchestra as first chair oboist. Until recently, she was the Director of Music for Cedar Boulevard Neighborhood Church, overseeing the choir and worship ministry programs and participating on a weekly basis in the Worship Band. She is married and has 5 children. Steve began studying clarinet in the 4th grade in Daly City, and later expanded to tenor saxophone, and flute. During his college years at California Polytechnic State University – San Luis Obispo, he tripled on all three in the University Jazz Band and its off-campus alter ego, “The Collegians” dance band. He is currently concert master (1st chair clarinet) in the NSW. After graduating with a Bachelor of Science in Electrical Engineering and moving into the work field, he never stopped playing music. He has performed with the San Jose City College – Monday Night Jazz Ensemble, spent over 20 years with a Dixieland/Jazz combo, 30 years with an area group called the “Santa Band”, and over 10 years with the Hewlett-Packard Symphony Orchestra. Steve is now retired after careers with Hewlett-Packard, LeapFrog and Underwriters Laboratories. In his leisure time, besides music, Steve likes woodworking, digital photography, computers and home automation, biking, hiking and walking the family dog. He’s been happily married over 37 years, has two grown sons and three granddaughters. Clark was an active musician and player all of his school years. After which he has continued to play in various adult school bands, and does various gigging for area community theatre and groups. He been an professional Electrician since 1979 , and ran his own firm for several years before joining the local Electrical Union I.B.E.W. in 1998, of which he is now the Vice President. He and his wife JoAnn have a daughter in high school who is also a musician playing flute and sax in the Fremont Youth symphony, and Moreau Catholic High School bands. Clark loves to play trombone and in his leisure time enjoys varied activities, Science Fiction, and spending time with family. Dave began playing trombone in the sixth grade, and when he was a senior at Calumet (Michigan) high school, he was selected to be the student conductor of the Calumet High School Band. After a bit of a hiatus, Dave began playing trombone again so he could participate in the Alumni Band when Calumet High holds their All-Classes reunions. After 6 successful years as Executive Director of the Ohlone College Foundation, Dave retired on December 30, 2011. On December 8, 2011 Dave also retired after serving 16 terms as Mayor of the City of Newark. At 34 years of service, he was the second longest-serving Mayor in the United States at the time of his retirement. During his Mayoral tenure, the City’s participation was important in helping resurrect the music program in Newark’s schools. Dave loves to play trombone with NSW, and also plays in “YOWZA!”…a band comprised of current and former City of Newark employees. Dave also enjoys golf, fishing, and being a grandpa. He is married to Marsha, and has 2 children, 2 stepchildren, and 7 grandchildren (soon to be 8!). Betty has a Bachelor of Science in Music Education from the University of Tennessee. She performed (including solos) with the Jacksonville Opera Company Chorus for 3 years. She has been a choir/chorus member in several states and presently is a member of the Ohlone Chorus. She is the organist and part time soloist for the Christian Science Church in Fremont. Betty has directed the vocals for several local productions including “Fiddler on the Roof” for Stage One, “How to Succeed in Business without Really Trying” for Contra Costa Theatre and “Oliver” in Oakland. With a Master’s Degree in Special Education from California State University East Bay, she now teaches Special Education students at Thornton Junior High School in Fremont. She has also taught private piano and voice lessons for over 30 years. In her spare time, Betty volunteers and currently serves as President of the League of Volunteers (“LOV”), Newark, is on the board of Directors for the Newark Days Organization, and is a member of the Newark Arts Council. Glenn began his drumming career in the 6th grade following his father’s footsteps (who was the only snare drummer during his college years at S.J. State) when he bought Glenn his first drum set. In high school, there were six drummers already in the band but they needed a bass player, so he taught himself in one semester and was the sole bass player for the high school jazz band and pep band until he graduated. He now plays all of the instruments in the Rhythm section: Keyboards, Guitar, Bass, Drums and Percussion. 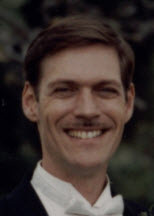 After being accepted into the Industrial Engineering program with the second highest scores at California Polytechnic State University – San Luis Obispo (SLO), Glenn passed auditions and became the bass player, and subsequently, drummer, for the University Jazz Band; stage drummer for the “PolyPhonics” stage choir; tri-tom and snare drum player for the “Mustang” marching band; and toured with the Cal Poly St. Univ. Marching and Symphonic bands during the Fêtes de Genève in Switzerland. Glenn changed majors and graduated with a Bachelor of Arts degree in Liberal Studies, (Multiple subject teaching credential/Music Emphasis), in order to teach Broadcast Communications (radio/TV production) at Cuesta College, the local Community College in SLO. After 12 years of teaching, he had the opportunity to transition into the Graphic Communications field and now works as an Installation Supervisor for Hallmark Cards covering the entire Bay Area. Glenn has played in multiple bands throughout his musical life from Country to Rock, Big-Band to Jazz, Musical Theater to Symphonic Orchestras and is a skilled sight reader. When he is not writing music, Glenn’s other hobbies include deejaying, line dancing (V.P. of Boots ‘n’ Buckles Line Dance Club), creating his Bi-Annual Haunted Garage for the neighborhood, and garden railroading in his father-in-law’s backyard. He and his wife Carole have choreographed first wedding dances for newlyweds to-be, and create theme party props for their dance club.